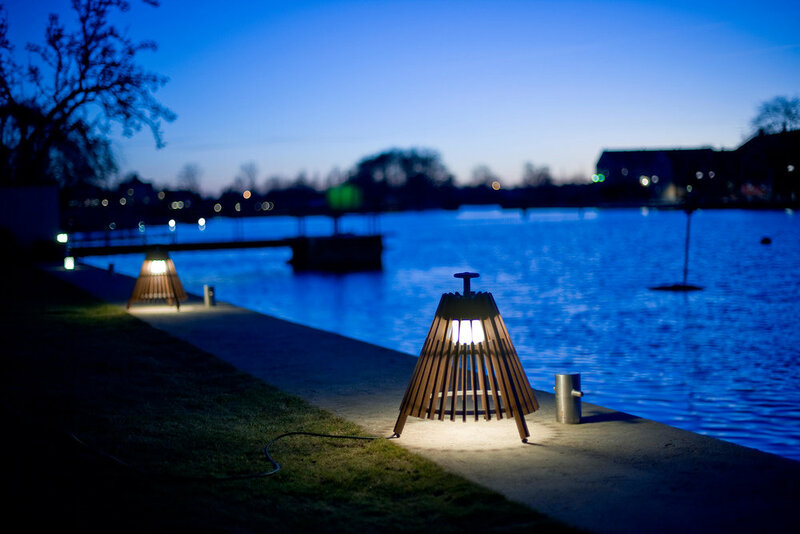 Designed by Mårten och Gustav Cyrén and developed by tradition-rich lighting experts ateljé Lyktan, Tipi is a floorlight for both outdoor and indoor use, made from slats of natural-coloured teak. The details are made of aluminium and lacqured in black. The arrangement of the wooden slats around a circular structure is reminiscent of the Native American teepee as well as the Swedish Samis “kåta”. Hence the name. 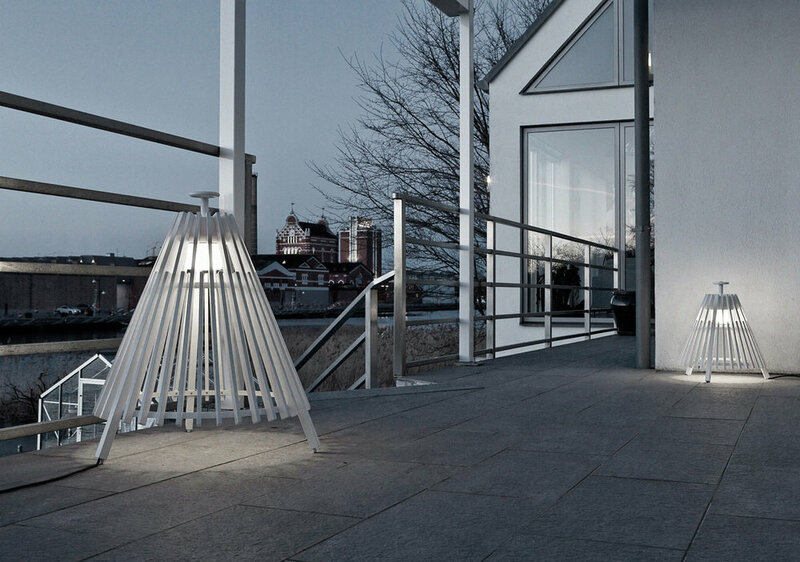 Originally designed for the custom-made division of ateljé Lyktan, simply called Ateljén, or “the Studio”. It was specially commissioned for the Treehotel in Norrbotten, in northern Sweden — a new type of hotel made up of tree houses. 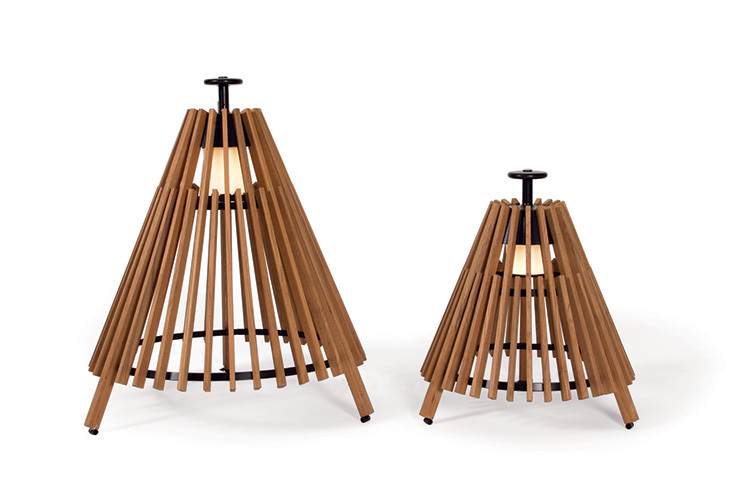 The inspiration for the lamp originates there, among the sticks and twigs and soothing sounds of the Swedish woods. Tipi is made by hand in Åhus Sweden. 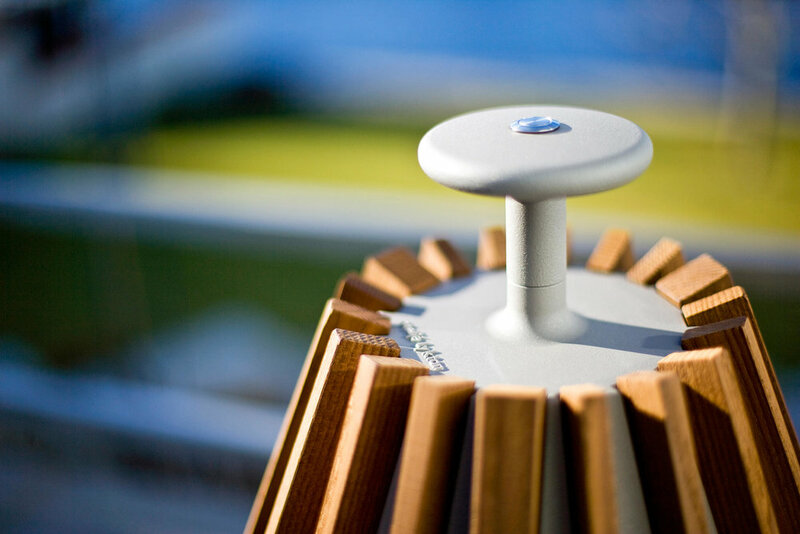 Natural-colored teak with black lacquered aluminum details. For placement on ground indoor and outdoor. Approximately 4 - 6 weeks.